Research on maize improvement by international agricultural research centers and partners in Sub-Saharan Africa (SSA) is increasing harvests in the region and enhancing farmers’ lives. In Nigeria, farmers say that improved varieties are addressing constraints such as the parasitic weed Striga, drought, poor soil fertility and pests and diseases that limit productivity, reduce yield and make farming unattractive. For farmer Hajiya Hafsatu Riruwai the encounter with improved maize technologies last year brought a profound change to her life. “I have been farming for the past 30 years but this is my best year so far,” she said. Mrs. Riruwai is one among thousands of farmers benefiting from the improved farming practices being promoted by the Integrated Striga Management in Africa (ISMA) project in the maize-producing belt. As a seed producer using improved varieties and better management technologies, she harvested 1.3 tons of maize from 0.25 ha in contrast to 0.2 tons from the same piece of land using local varieties. “Many farmers now come to my house to buy my maize seeds because of their performance,” she said. In western Kenya, George Martin Mitende, a lead farmer in Bonda village in Migori County, also gets more maize by using a combination of new, improved farm practices. In 2011, he donated part of his land which was badly affected by Striga to the ISMA project to set up a demonstration field trial. Since 2011, Striga had been dramatically reduced on this piece of land. 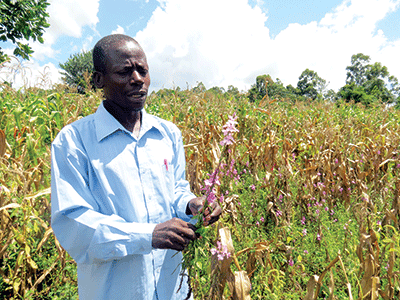 He harvested 360 kg of maize from one-tenth of a hectare in the last two growing seasons. In the past, he usually harvested 90 kg or 180 kg from the whole farm. “My favorite Striga control technology is intercropping Desmodium with WS303 – an Imazapyr herbicide-resistant maize variety being marketed by the Western Seed Company. I will extend this technology to my whole farm,” he said. Desmodium is a legume that is also fed to livestock. It is intercropped with maize to suppress the growth of Striga as part of the push-pull management technology developed by ICIPE and partners. ISMA, launched in 2011, is capitalizing on existing technologies developed by IITA and CIMMYT and other partners to increase the productivity of maize with particular focus on addressing Striga – a major constraint to production in SSA. ISMA seeks to improve the livelihoods of over 15 million smallholder farmers in northern Nigeria and 10 million in western Kenya by promoting and deploying a variety of technologies that reduce the weed’s emergence, improve soil fertility and increase crop yields. 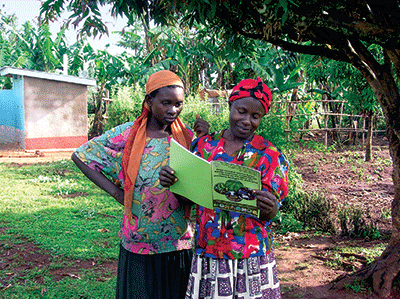 In Kenya, ISMA works with national partners, extension workers, policymakers, community-based seed producers and farmers. Extensive demonstration trials involving different management options have shown that both Imazapyr-resistant maize (IR-maize) and Striga-resistant hybrids reduced Striga emergence by more than 60 percent and increased yields by up to 70 percent compared with commercial hybrids. Demonstration trials showed that intercropping the legumes Desmodium and groundnuts with IR-maize and Striga-resistant hybrids is the best management option, increasing grain yield and significantly reducing Striga emergence. Farmers who intercropped maize with Desmodium (push-pull technology) achieved reductions of 60-100 percent in infestation and three-fold increases in grain yields. The project had also engaged companies in Kenya to produce 370 tons of seeds of the IR-maize hybrids and open-pollinated varieties (OPV). Over 256 tons were directly distributed through agro-dealers, providing over 72,000 farmers with IR maize within three years. 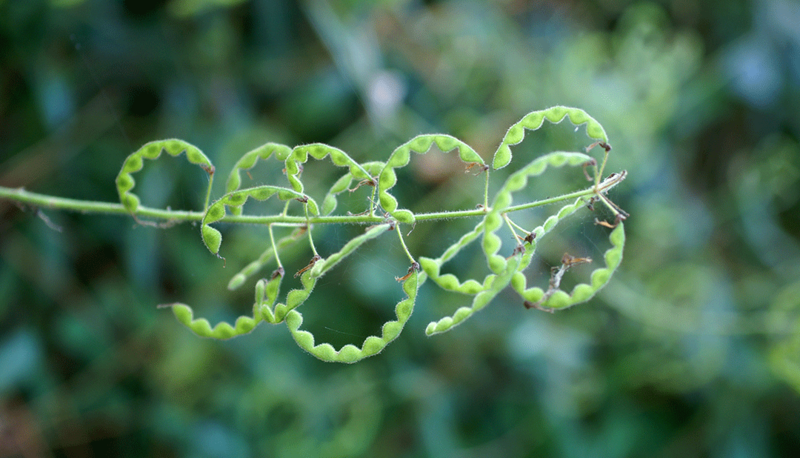 In addition, community-based producers and selected companies produced 4 tons of Desmodium seeds. Over 111,000 farmers now have access to new Striga management technologies in Kenya through field days, agricultural shows and seed sales. Among these, 24,183 farmers have adopted the push-pull technology. In Nigeria, the project established broad-based partnerships to test and deliver technologies to smallholder farmers in Bauchi and Kano states. These technologies included the use of Striga-resistant OPV and Striga-resistant and herbicide-resistant maize hybrids. Also recommended were the rotation of maize with soybeans or Striga-resistant cowpeas and biocontrol of the weed with a fungus (Fusarium oxysporum f. sp. Strigae) that is specific to Striga. Researchers, seed companies, NGOs, CBSPs, state extension services, dealers in agro-chemicals and policy-makers came together and created innovation platforms to help scale out project outputs and deliver technologies to control Striga in farmers’ fields. In three years, the project has directly reached 264,370 farmers. Over 1,285 tons of seeds of Striga-resistant maize and 346 tons of seeds of Striga-resistant cowpeas have been produced by companies and community-based producers and disseminated to farmers in northern Nigeria. The push-pull technology is an innovation from ICIPE. It is a pest management approach that uses repellent intercrops in combination with an attractive trap plant. Pests are repelled from the food crop while being simultaneously attracted to the trap crop. It is mostly used to control stem borers and Striga.